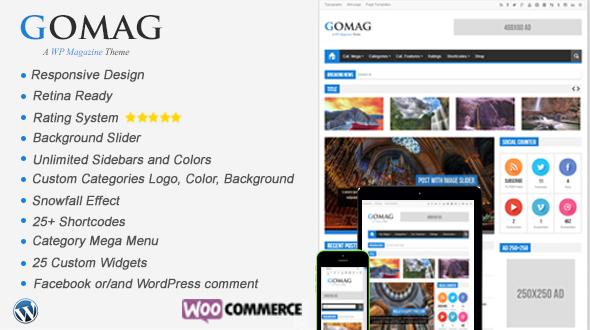 Gomag is a Responsive WordPress Theme, designed specifically for the news, magazine and blog websites. The homepage layout is very flexible, you can built your own layout using the 9 homepage widgets. This theme is very easy to setting up, with the custom options panel. This is a perfect choose, if you want a unique website.